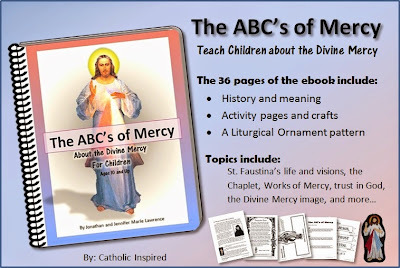 Catholic Inspired is owned and operated by me: Jennifer Marie. 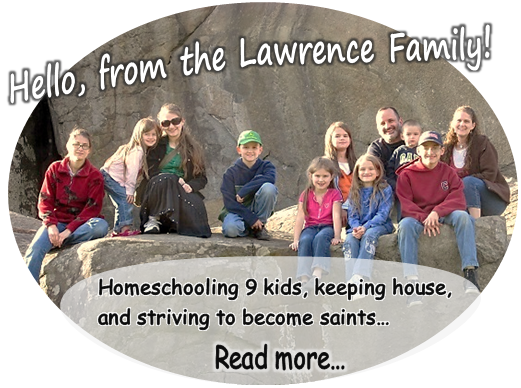 I'm just a homeschooling mom with a wonderful husband and 9 kids (ages 15 -2), and, of course, I'm Catholic. I'm not a professional when it comes to running a website or a business. I taught myself HTML and I'm learning new "web tricks" each day. I didn't create this blog for me; I created it for you and others like you. 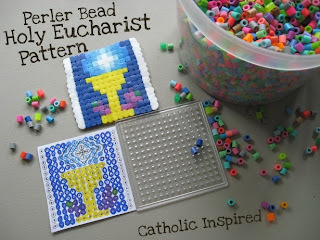 All the crafts and ideas on this blog are free. Our time on Earth is meant to be spent helping others and working to spread a knowledge and love of God. That's why God put us here on Earth. This blog is my little way of doing that. 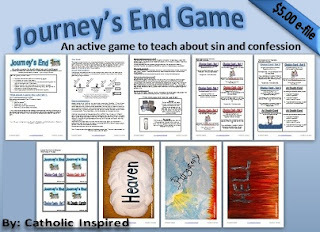 My hope is that you all can use these ideas in your home or school to draw others closer to God. What do you post on this blog? I post anything that I feel a parent or a teacher could use to spread a love for God in their home or school. It's mostly arts, crafts, games, and activities which are faith-centered. These are things that my kids have made or they are things that I have made to decorate our Catholic home. Keep in mind, I'm a homeschooling Mom with 9 kids who's ages range from 15 to 2. So you'll find a wide verity of crafts and activities for lots of ages and abilities. 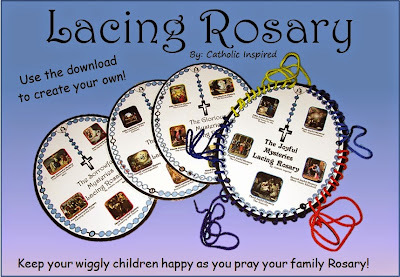 I do have ads on this blog and I do sell things in my Catholic Inspired Store. These are my way to help pay for the cost of running this blog. If there is any extra it goes to the needs of my kids (homeschooling 9 kids can get expensive!). Can I pin these ideas on Pinterest? Sure! I only ask that you pin to this blog and not to the image only pages or file pages. Can I share and distribute these ideas? The free crafts and ideas (not the store items) are made for sharing, but please be sure these ideas are being shared free of charge. And please be sure to give credit to this blog whenever you share an idea that came from here. That way others can come and use the other ideas posted here, too! It's like spreading a love for Jesus! I do ask that the efiles in the store are not to be distributed or shared but a teacher/parent may make copies for his/her kids and class only. I don't ask for much in return for posting the ideas here on this blog, but the files in my store are the way I keep this blog running. Thank you. 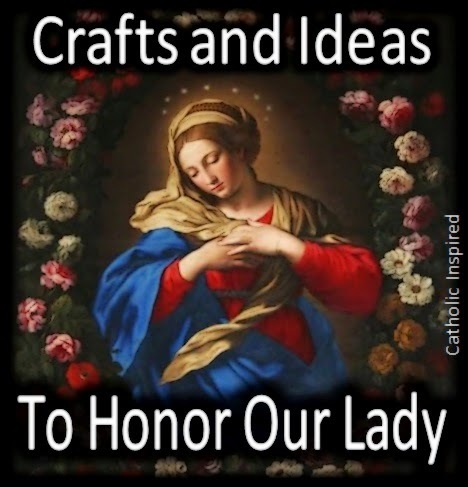 What do arts and crafts have to do with the Catholic faith? NOTHING!!! But I have found that my kids learn much better when we do things in a hands-on way. 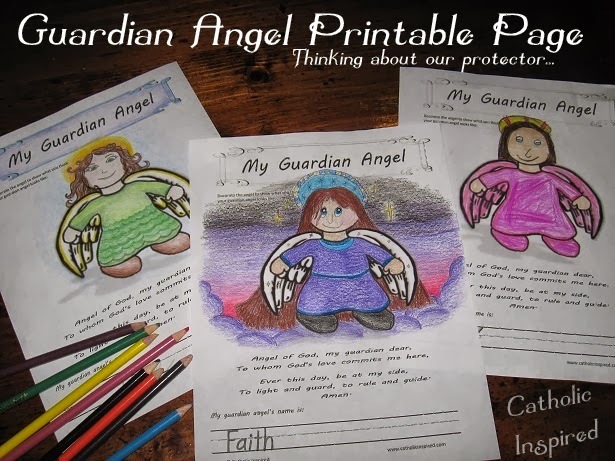 So I like to include arts, crafts, games, and activities when I teach them about the faith. In the Middle Ages churches were decorated with lots of pictures and statures. Every inch of the church portrayed a image with a story! They were everywhere in the church; the walls, ceiling, floor, windows, doors, etc. Was it necessary? No, but the early Catholic leaders knew that the people, who were unable to read, could be inspired by these images to live a good and holy life. Sure, we can read now-a-days, but we are no different than those people 1500 years ago! 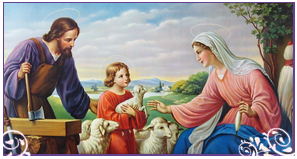 We can still be inspired through Catholic art and images to live a good and holy life. Why so may pictures in your posts? I know that not everyone is an artsy person. We are all created equal, but we are not the same!! So I often add step-by-step pictures to help those who's God given talents are not in crafting and creating. I hope that this will allow everyone to use and create these ideas. I hope you enjoy your stay here and I hope you find something that will help you teach others about our wonderful faith!